Tera Pruitt completed a PhD in Archaeology and Heritage Management at the Department of Archaeology, University of Cambridge. Her thesis "Authority and the Production of Knowledge in Archaeology" addresses several critical questions about scientific practice, including: What makes someone an authority or expert on the past? The project focuses on two case studies: one professional archaeological excavation (Çatalhöyük in Turkey, directed by Ian Hodder at Stanford University) and one pseudoscientific site (the Bosnian Pyramids), and compares how each site produces its own ‘authoritative’ accounts of the past. The results of this thesis can be applied more generally in a variety of settings, including corporate business, scientific research, and media. Pruitt's research was highlighted in a Huffington Post article which identified the real thesis behind the thesis: "Fake science is an awful lot like real science, except it's fake." In 2011 and 2012, Pruitt worked as a researcher at the Museum of Archaeology and Anthropology at the University of Cambridge (CUMAA), and she was a lecturer and primary course coordinator for the Museum Studies module of the graduate Archaeological Heritage and Museums Studies MPhil course in the Department of Archaeology in 2012. While working at CUMAA, Pruitt managed the development of a new experimental archaeology gallery that featured 'visible storage' displays. 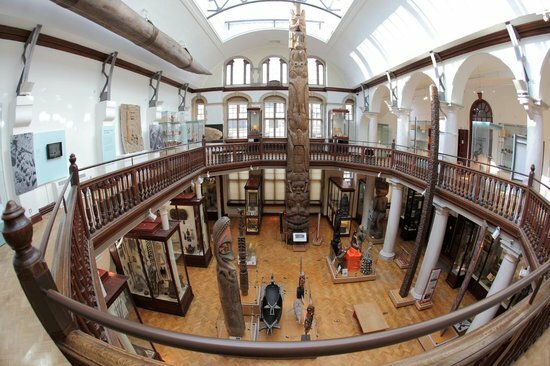 This gallery was part of a completely redeveloped museum that was shortlisted for the 2013 ArtFund Museum of the Year Award. At the University of Cambridge, she taught core M.Phil. classes and undergraduate tutorials, as well as supervised the dissertations of a number of graduate students who went on to work for prestigious museums like the Imperial War Museum in London and the Exploratorium in San Francisco. In 2013, Pruitt began working as a postdoctoral researcher at the University of California, Los Angeles (UCLA) for a National Science Foundation (NSF) and Institute of Museum and Library Studies (IMLS) funded informatics project called Creating Collaborative Catalogs. The project's team developed a computer system that gave different expert communities (Native Americans, archaeologists, and museums) a way to interact and share knowledge about the past. She worked with members of the Zuni Native American tribe at the A:shiwi A:wan Museum and Heritage Center, an independent eco-museum doing wonderful cutting-edge work in New Mexico. The NSF project aimed to develop new technology that offered indigenous communities greater access to and control over their own heritage. In the past, Pruitt was a coordinator and a web developer for the Cambridge Heritage Research Group, the Archaeological Review from Cambridge, the Sport in Modern Europe research group, and the Rice University Anthropology Department. In addition, she completed archaeological illustration for artefacts and site plans from Timbuktu and Jenne-Jeno archaeological surveys and excavations, and worked as General Editor of the Archaeological Review from Cambridge, the oldest postgraduate journal of archaeology. Pruitt has excavated and conducted field work at a number of archaeological sites in Texas, Ireland, Greece, Turkey, and the United Kingdom. Pruitt continues research into the production of knowledge in scientific archaeology with her most recent publication with University of Alabama press: ‘Creating Pyramids’, in D. Anderson and J. Card (eds) Lost City, Found Pyramid: Understanding Alternative Archaeologies and Pseudoscientific Practices. She has continued museum work by assisting the Peter Brook Project at the Victoria & Albert Museum in London, digitising the newly acquired collection of archives owned by famous theatre and film director Peter Brook, as well as creating a new archive of memories by collecting oral history interviews of people who acted, co-directed, or watched performances by Brook. Pruitt, T. (2016) ‘Creating Pyramids’, in D. Anderson and J. Card (eds) Lost City, Found Pyramid: Understanding Alternative Archaeologies and Pseudoscientific Practices (Tuscaloosa: University of Alabama Press). Pruitt, T. (2012) ‘Performance, Participation and Pyramids: Addressing Meaning and Method Behind Alternative Archaeology in Visoko, Bosnia’ in A. Simandiraki and E. Stefanou (eds) From Archaeology to Archaeologies: the 'Other' Past’ (Oxford: Archaeopress), p. 20-32. Pruitt, T. (2010) Review of 'A Splendid Idiosyncrasy: Prehistory at Cambridge 1915-50’ (P.J. Smith 2009) in S. Neil and B. Crerar (eds) Violence and Conflict in the Material Record, Archaeological Review from Cambridge, 25.1, 200-204. Pruitt, T. (2009) ‘Contextualising Alternative Archaeology: Socio-Politics and Approaches’ in T. Pruitt and D. Yates (eds) “Invention and Reinvention: Perceptions of Archaeological Practice”, Archaeological Review from Cambridge, 24.1, 55-75. Pruitt, T. (2009) ‘Trinity: Great Expectations,’ “May Ball Reviews 2009”, The Cambridge Student Newspaper, May Week 2009 Issue, 17. Pruitt, T. and J. Mundy (2004) ‘Stratigraphy’ in Archaeological Site Report for "Storm Site West" Excavation in Wallisville, Texas (Local publication with Sam Houston National Forest Service and Rice University). Pruitt, T. and A. Foutch (2003) ‘A Critique of Texas Lithic Methodologies’ in Archaeological Site Report for "Storm Site" Excavation in Wallisville, Texas (Local publication with Sam Houston National Forest Service and Rice University). (Issue Editor): Pruitt, T. and D. Yates (2009) ‘Invention and Reinvention: Perceptions and Archaeological Practice’, Archaeological Review from Cambridge, 24.1. (Journal, General Editor): Inglis, R. and A. Pryor (2009) ‘Beyond Determinism? Engagement and Response in Human-Environment Interactions’, Archaeological Review from Cambridge, 24.2. (Journal, General Editor): Neil, S. and B. Crerar, (2009) ‘Violence and Conflict in the Material Record’, Archaeological Review from Cambridge, 25.1. (Journal, General Editor): Sapwell, M. and V. Spry-Marqués (2010) ‘Boundaries and Archaeology’, Archaeological Review from Cambridge, 25.2. (Contributing Editor): McIntosh, R. (2006) Rice University Field School Archaeological Site Report for “Storm Site West” Excavation in Wallisville, Texas (Local publication with Sam Houston National Forest Service and Rice University). (Contributing Editor): McIntosh, R. (2004) Rice University Field School Archaeological Site Report for “Storm Site” in Wallisville, Texas (Local publication with Sam Houston National Forest Service and Rice University). Pruitt, T. (2012) ‘The Politics and Performance of Pseudo-Pyramids’, 77th Annual Meeting of the Society for American Archaeology (Memphis, Tennessee, USA). Pruitt, T. and M. Boddington (2010) ‘”Some Are More Equal Than Others"? : Archaeological Access and the Politics of Multivocal Interpretations’, 14th Annual Meeting of the European Association of Archaeologists (The Hague, NL). Pruitt, T. (2010) ‘Knowledge Production & Local Communities: Socio-politics and Alternative Accounts of the Past’, 75th Annual Meeting of the Meeting of the Society for American Archaeology (St. Louis, Missouri, USA). Pruitt, T. (2009) ‘Jousting Windmills? : Post-war Politics and Alternative Accounts of the Past’, Association of Social Anthropologists Conference of the UK and Commonwealth (Bristol, UK). Pruitt, T. (2008) ‘Addressing the Complexities of Invented Heritage’, 14th Annual Meeting of the European Association of Archaeologists (La Valetta, Malta). Chair. (2013) Archaeology and Cultural Heritage During and After Armed Conflict with Emily O’Dell from American University of Beirut and Britt Baillie from University of Cambridge. European Association of Archaeologists Conference, Pilsen. Chair. (2010) Archaeological Access and the Politics of Multivocal Interpretations with Monique Boddington from University of Cambridge. European Association of Archaeologists Conference, The Hague. Coordinator. (2010) Heritage and the Olympics. Produced the call for papers; organized speakers, abstracts and conference schedule with fellow organizers; designed the conference website. 11th Cambridge Heritage Research Group Seminar, University of Cambridge. Online Manager. (2009–2010) Sport in Modern Europe. Non-attending manager of the Sport in Modern Europe website, managed papers from workshops. The Sport in Modern Europe Project is an AHRC-funded, multi-university collaborative organisation. Chair. (2008) Deconstructing Post-Conflict Reconstruction with Britt Baillie from University of Cambridge. European Association of Archaeologists Conference, Malta. Assistant. (2008) Subversion, Conversion, Development: Public Interests in Technologies, Conference. Assisted conference operations. Cambridge Research for Arts, Humanities, and Social Sciences (CRASSH), University of Cambridge. Assistant. (2007) Re-Visioning the Nation: Cultural Heritage and the Politics of Disaster, Conference. Assisted conference operations. 8th Cambridge Heritage Research Group Seminar, University of Cambridge. (Cover photograph): A. Simandiraki and E. Stefanou, eds (2012) From Archaeology to Archaeologies: the 'Other' Past’ (Oxford: Archaeopress), p. 20-32. (Cover photograph): Pruitt, T. and D. Yates ( 2009) ‘Invention and Reinvention: Perceptions and Archaeological Practice’, Archaeological Review from Cambridge, 24.1. (Photography) Pruitt, T. (2009) Trinity May Ball, The Cambridge Student Newspaper, May Week 2009 Issue, 17. (Diagram Illustrations): Pruitt, T. (2005) ‘Self-organizing landscape I, II, III, IV’ in R. McIntosh Ancient Middle Niger: Urbanism and the Self-organizing Landscape, (Cambridge: Cambridge University Press), p. 103, 104, 106-107.